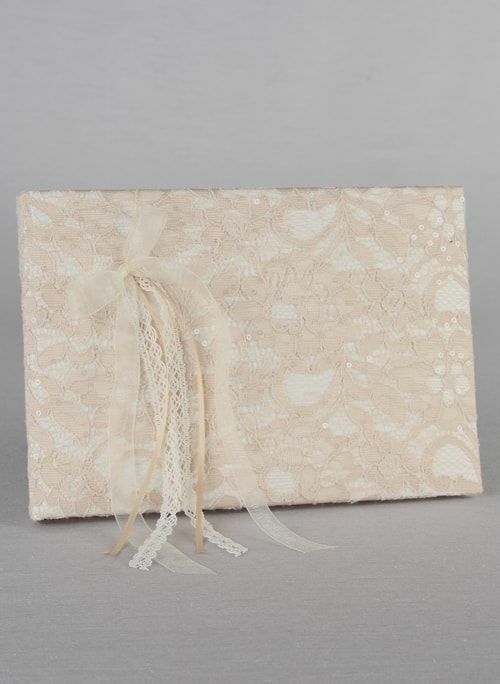 This delicate lace guest book offers a true antique look with a beautiful champagne lace lightly dusted with sequins. Layers of organza, satin and lace trims embellish the book, giving it a soft elegant look. Available in ivory with champagne lace. The Adeliade delicate lace collection offers a true antique look with a beautiful champagne lace lightly dusted with sequins.